Calling all Spongbob Fans: Are you Ready Kids? 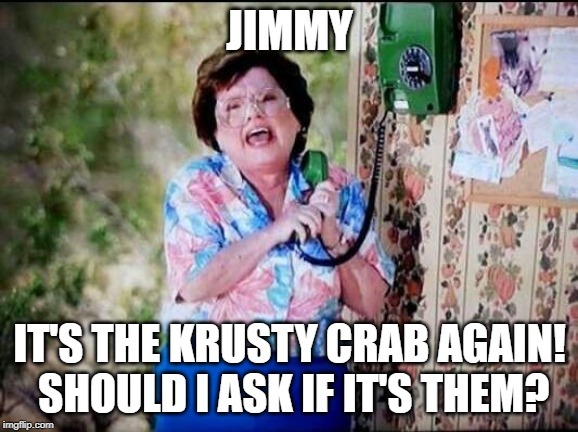 JIMMY; IT'S THE KRUSTY CRAB AGAIN! SHOULD I ASK IF IT'S THEM?